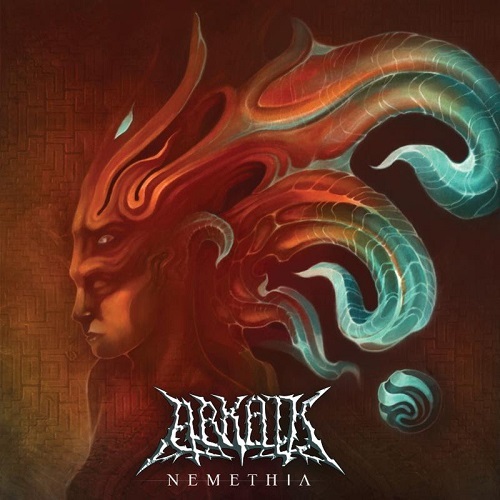 Progressive tech death collective Arkaik will unleash the anticipated Nemethia, this fall via Unique Leader Records. 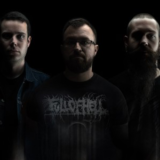 A continuation on the conceptual saga of the two previous releases, on Nemethia the journey of Cyrix expands into new landscapes, as does the band’s technical prowess and creativity. Arkaik has been hard at work creating a series of wildly psychedelic concept albums revolving around a protagonist named Cyrix, a disillusioned character in a dystopian society. Cyrix’s latest journey introduces new characters and brings you into a world of dark occultists, magical allies, and hidden forces. From resurrecting ancient goddesses to cracking the codes of reality and activating hyper dimensional stargates, the chronicle of Cyrix continues. Nemethia will see release on CD and digital formats on September 29th via Unique Leader Records. Pre-order bundles will be available in the coming weeks. In advance of the record’s release, Arkaik will kick off a US headlining tour on September 8th. The Occultivating The Masses Tour will run through October 7th and features support from Alterbeast and Inanimate Existence. See all confirmed dates below.